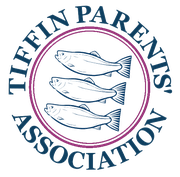 This event has run since 2014 and it is a great way for the (then current) Year 7 parents to get involved and organise the food part of the Tiffin in the Garden event. This is organised by the Friends of Tiffin Music (FoTM) for the Tiffin pupils and parents to relax, listen to great music performed by our children, and get to know one another better. More then just a source of delicious food for everyone attending the school's Tiffin in the Garden event, it is also a chance to have a chat and get a taste (literally) of the many different cultures that make up the Tiffin parents, pupils and staff. It is of course not only a fun evening, it is also a great fundraiser for Tiffin. Looking back we have raised more and more each year: generous parents donating delicious food, disposables, condiments, etc. We have had parents canvassing local restaurants for donations which added considerably to our profit margin as well. Last year we raised a staggering £2000! The next Tiffin in the Garden will take place 12 July 2019 and the previous Yr7 (now Yr8) parents are looking for volunteers from the new intake 2018/19 Year 7 parents to take over the baton. For more information please contact us and we will put you in contact with the parents who coordinated the event last year.